By Sia in Desktop. Updated on October 18, 2017 . Much like many other browsers, opening a new tab in Microsoft’s Edge browser will send you to a new tabs page. 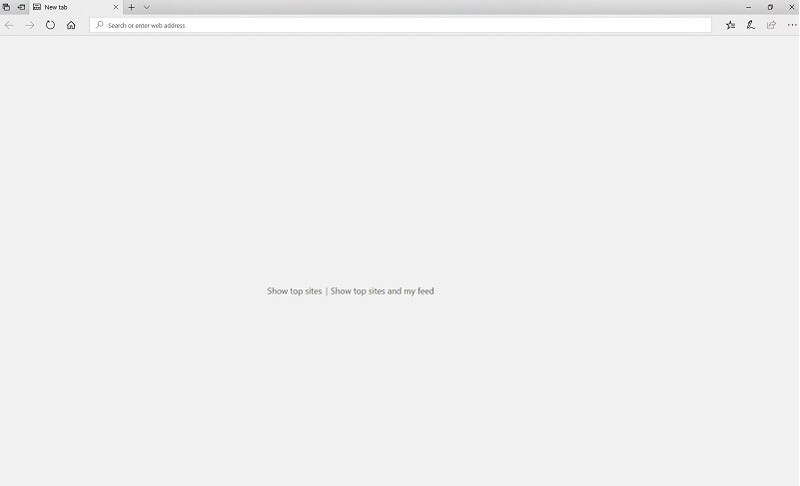 The new tab that opens feels more like a central hub as it contains news, information and a list of your top sites. While the new tabs page may be much informative, there is no denying that said page feels full of clutter. So, if you, like me, prefer your new tabs to be clean, here’s what you can do to trim down the fat on Edge’s new tab page. In order to do so, open up a new tab. Once you’re on the new tab page, click on the gear icon that is located just above the list of top sites. 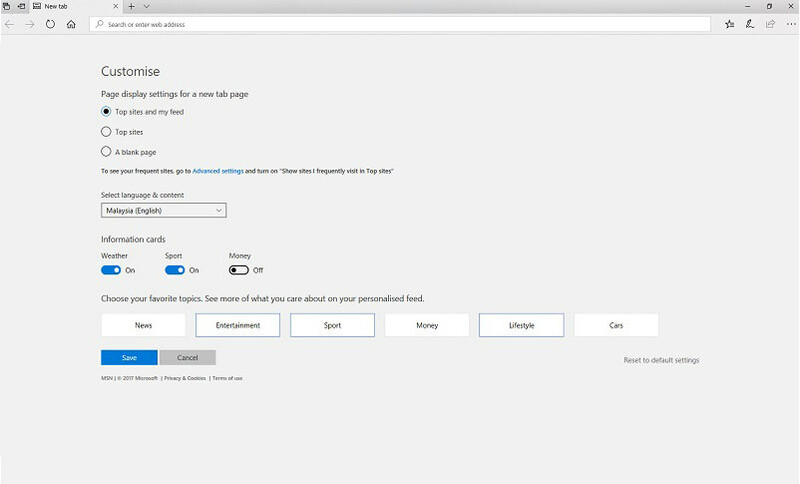 Doing so will open up the Customize menu, complete with all the options you need to customize the new tabs page. For those who prefer to have only their top sites shown on the new tabs page, simply check the “Top sites” option found below the “Page Display Settings” selection. You can also check the “A blank page” option which would cause new tabs to appear mostly blank, save for the options that let you enable your top sites or both the top sites and the news feed. For those who would like some information on their new tabs pages, Microsoft Edge will let you enable or disable certain information cards from being shown on the page. 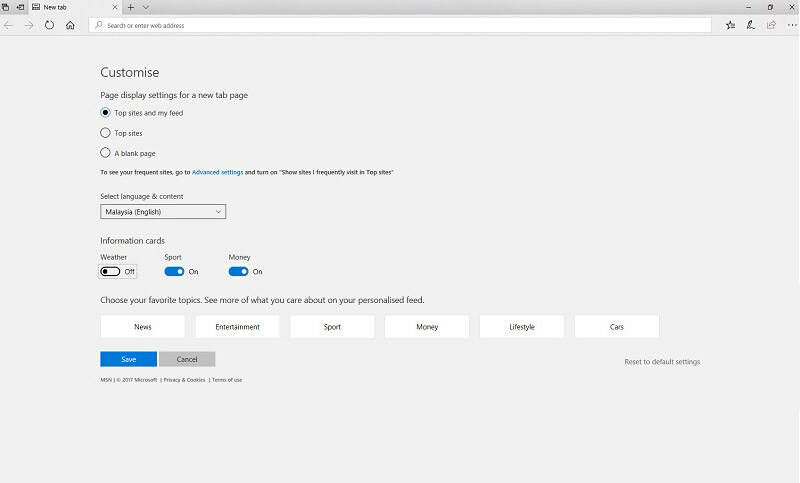 Besides adding or omitting information, Edge also allows you to tailor your news feed according to your favorite topics. Once the topics are selected, your news feed will be populated with articles that are relevant to your selection.